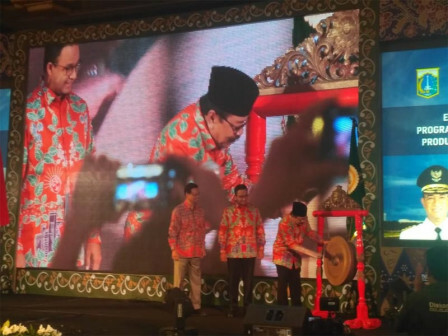 Jakarta Governor, Anies Baswedan is encouraging the Indonesian Provincial Government Association (APPSI) to strengthen inter-regional trade cooperation.
" We have the potential to develop better trade cooperation"
"Not only between provincial governments. But also enterprises, thus they can provide benefits to communities in their respective regions," he expressed, during APPSI work meeting, Wednesday (12/5), at Borobudur Hotel, Central Jakarta. As an archipelago stretching around 8,500 kilometers Indonesia has great economic potential. Therefore he believes that if 34 provinces in Indonesia are synergized, it will bring a good impact on the community. "We have the potential to develop better trade cooperation," he asserted. Anies’s statement gets appreciation fromAPPSI Chairman, Soekarwo. He assessed, the hope was very likely to be realized because of the large potential of the local economy that can be developed. "Hopefully it can be realized," he stated. As for the information, the work meeting it self will be held on December 5-7.